Parlor guitars have been around for quite long, more specifically in the late 19th century. It is the go-to type of acoustic guitar among blues and folk players for over a hundred years. Although it is no longer as popular as the other body shapes like before, parlor guitars remain a favorite weapon among travelers. 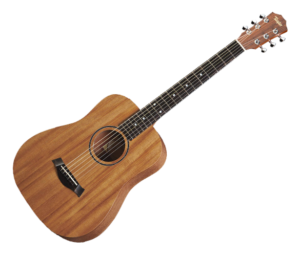 The Taylor Baby BT2 is one of the most popular modern mid-range parlor guitars on the market today, particularly among players who want a robust and good-looking acoustic guitar with a boxy sound. But, does this guitar have a lot more to offer? Find out. 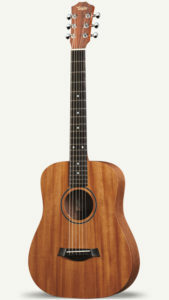 The Taylor Baby BT2 is a 3/4-size dreadnought that has a solid mahogany top and layered sapele back and sides. The neck is also made from sapele and houses a standard rosewood fretboard. First glance at this guitar, you might immediately notice that it looks like a high-end handcrafted Taylor acoustic guitar. Compared to the acoustic guitars with spruce top in the Baby Taylor series, this guitar has a slightly darker, earthier tone. Thanks in large part to the robust solid tonewood that is coated in a gloss finish. But it is not, though you can expect its build to be as sturdy as a custom acoustic guitar. In terms of hardware, the Taylor Baby BT2 features nothing out of the ordinary. The rosewood fretboard is fitted with a compensated saddle and nut, both made of Nubone. On the headstock is a standard set of die-cast tuners, which does a really good job at retaining tuning and intonation. 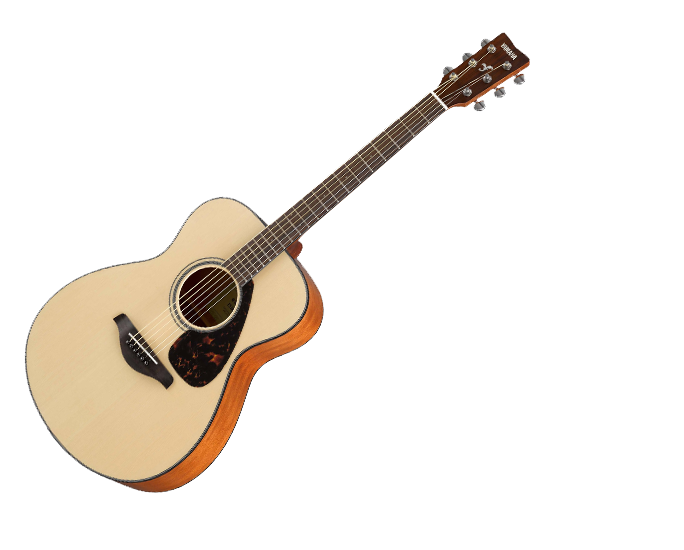 In the sound department, the Taylor Baby BT2 brings something special to the table, something that you would expect in a Taylor acoustic guitar regardless of the price tag. It possesses the usual Taylor tone and is fairly comparable to its full-size counterparts. The dreadnought body makes up for the small, compact size of the guitar, which you will only notice if you are an experienced acoustic guitarist. 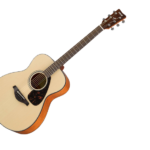 Indeed, this is a versatile acoustic guitar that is designed as a beginner and travel guitar but is very usable for pro players. However, some critics have argued this solely due to it not having the standard concert body shape, which most parlor guitars do. And it is larger than the usual parlor guitar. The Verdict: Should You Buy Taylor Baby BT2? 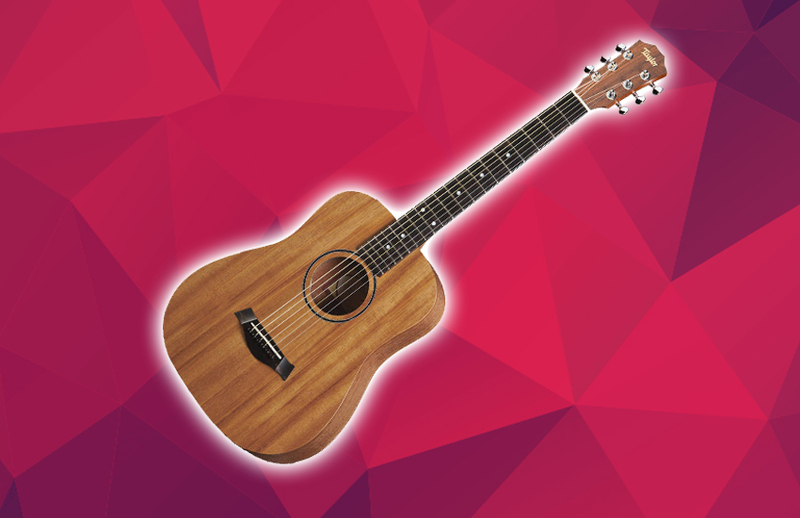 The Taylor Baby BT2 is an impressive acoustic guitar that any player across the board will surely enjoy. From the tonewood and hardware down to the tone and projection, you will notice that Taylor put a lot of thought in the process of making this guitar. And that paid off big time. If you are willing to sacrifice a little bit of portability, this guitar is extremely a great investment that cannot be toppled down by any model in this price range. Go get this guitar by all means!